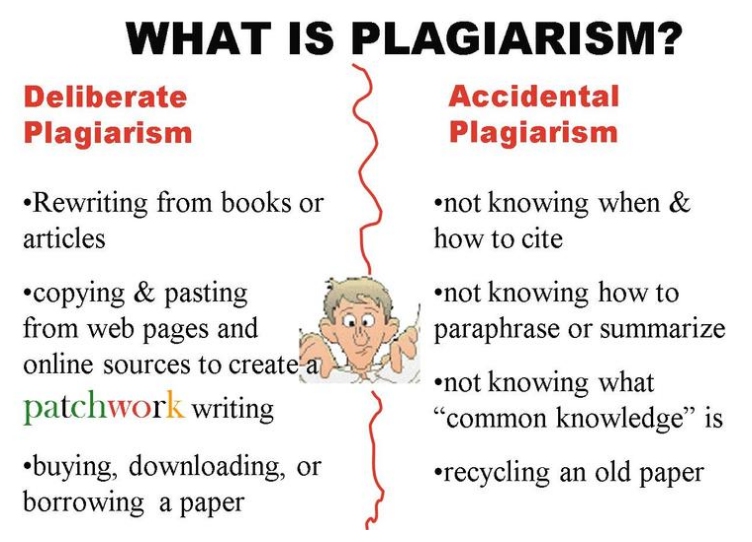 The word plagiarism comes from a Latin word for kidnapping. Plagiarism is stealing someone's ideas or intellectual property and therefore cheating. 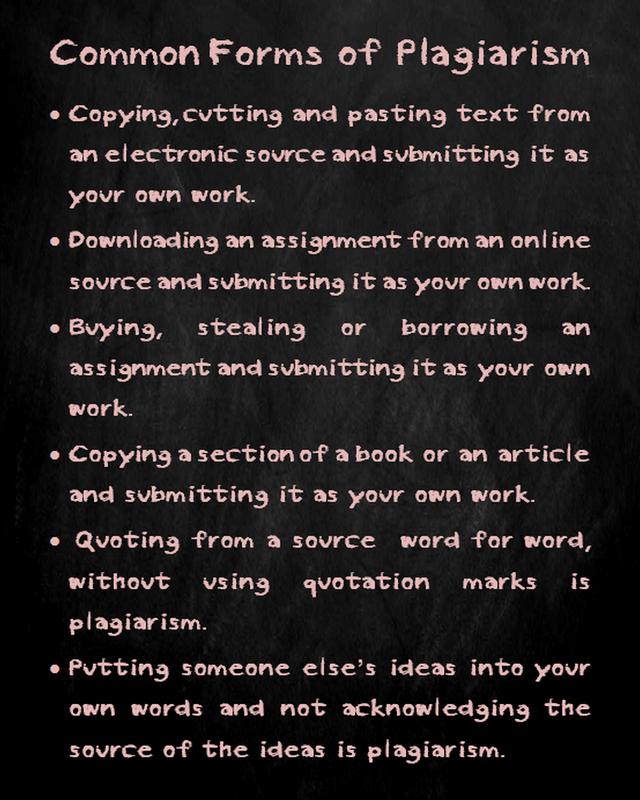 Some students plagiarise without realising the implications. Sometimes plagiarism can be accidental, sometimes done on purpose or sometimes a result of being lazy and unorganised. By copying whole paragraphs from different places, means students are not having to think about the subject, gathering their own thoughts about it, and then putting it into original words. In order to avoid plagiarism, students need to understand that the purpose of an assessment task is to learn; to absorb information, internalise it, understand it, and explain it -- not just to research and write it. 2. You always list the source where your information came from in your Bibliography or Reference List. Your browser is not able to display frames. Please visit the mind map: Testing on Mind Mapping - MindMeister.